Late summer babies. Blondie came back in August with another new baby. The usual critters in our yard during the past few months. One day I came home from work and grabbed the mail from the mailbox that is on the side of our house next to the front door. This guy came out with the mail. I dropped the mail to the ground and was glad he didn’t land on me. I think I woke him up. The muhly grass blooms pink in the fall. These started blooming in late October. Different skies in the front and back yards. I took a walk on the walking bridge across Tampa Bay recently on a Sunday night. I was traveling light and only took my phone so all of these are phone shots. Occasionally you see some critters swimming by. I think this is a cow nose sting ray. They are pretty common in the bay. 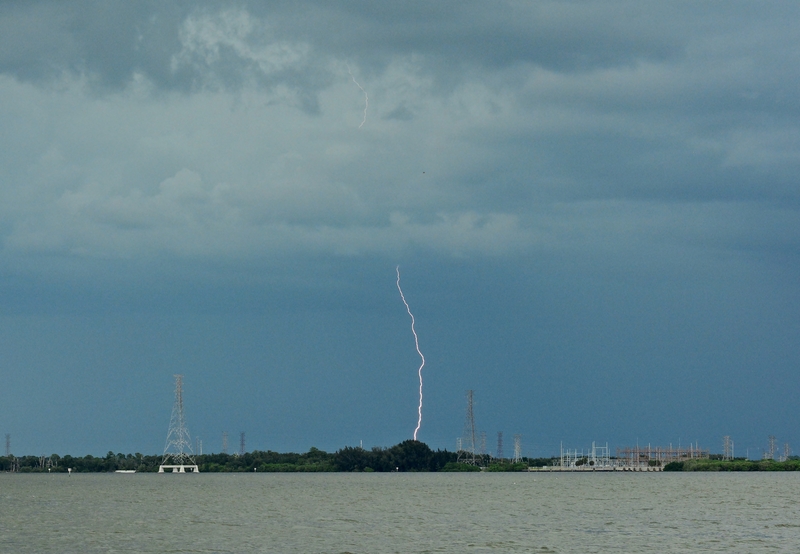 A storm was moving into downtown Tampa but behind me the sun was still out. A brief glimpse of the sun before the clouds moved in. 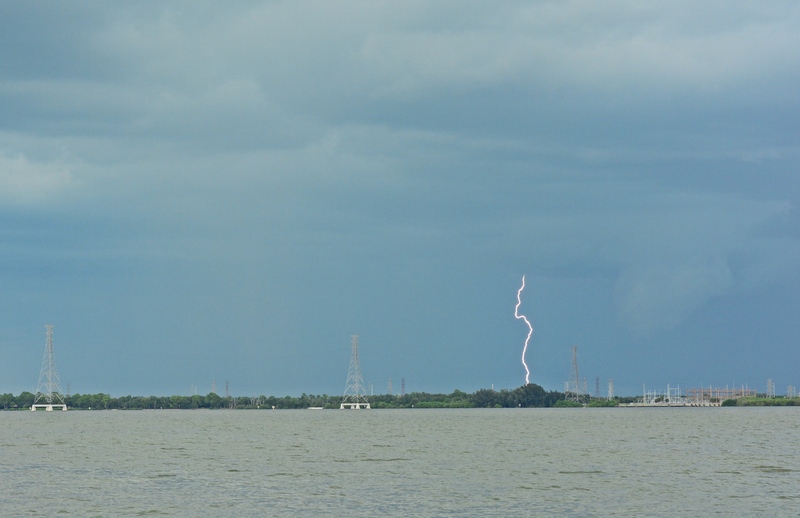 Then it got bad so I snapped the above and headed back to my car right before it started pouring. This was pretty far away and the picture is cropped up. I would not want to be out on that bridge if the lightning was any closer. I peaked out the window and saw some dark clouds moving in. I grabbed my phone and ran out to the backyard. I kept hearing crashing coming from the front yard so I ran around to the front and got the shot of the lightning. The night storms have been crazy lately in the beginning of August. The next night I drove home in pouring rain and by the time I got home the sky looked like the above in the backyard. On the way home from work I stopped at a parking deck right off the bridge to take the above. Looking towards downtown Tampa, it was beautiful blue skies. 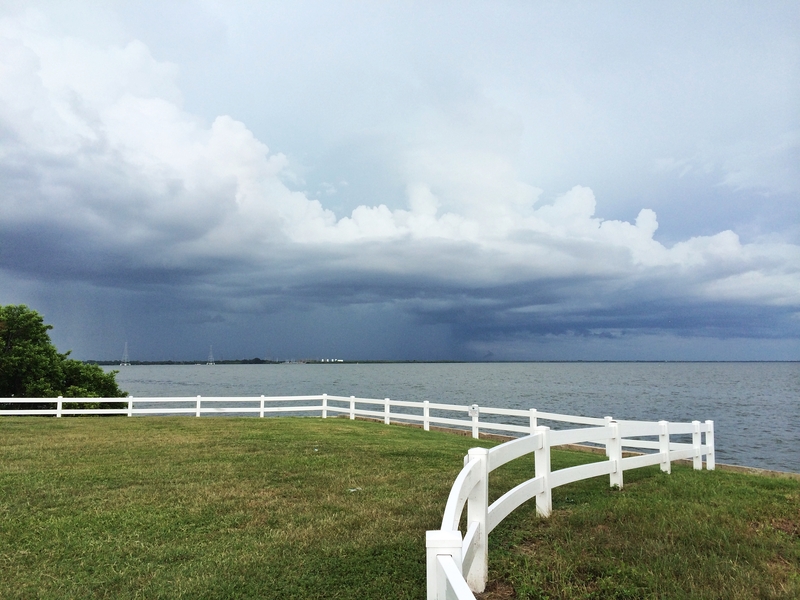 When I turned around, the big storm was moving across the bay. I had just driven through that. All of the above were taking with my phone. 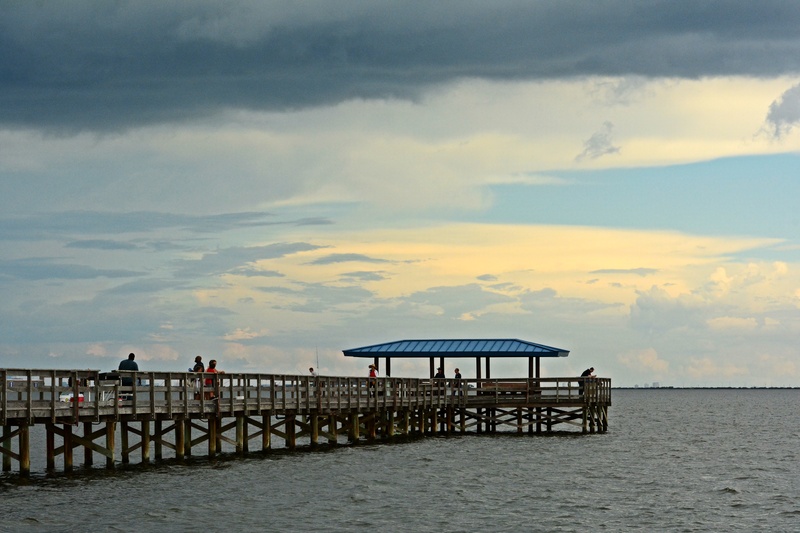 I stopped by the Safety Harbor fishing pier on the way home recently and was kind of bummed the weather looked so bad. This was taken with my phone. I was thinking about jumping back in the car and going home but I thought I’d walk around the area for a few minutes. 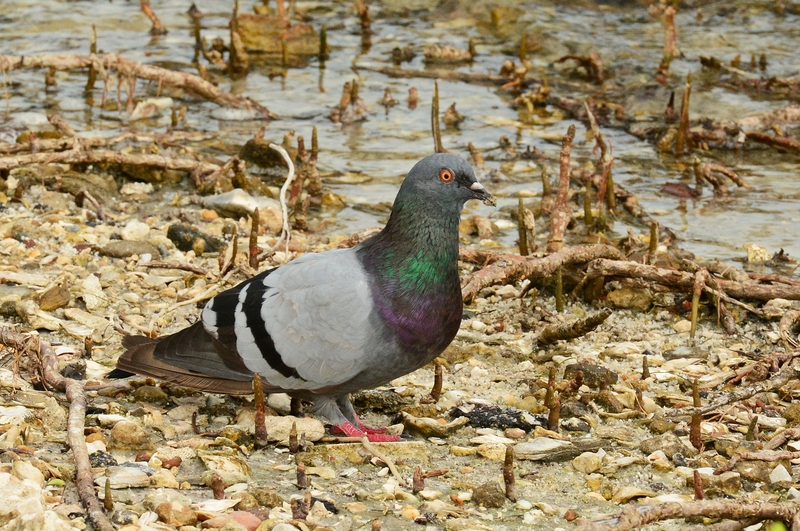 The only bird I found there, other than a few laughing gulls flying over head. 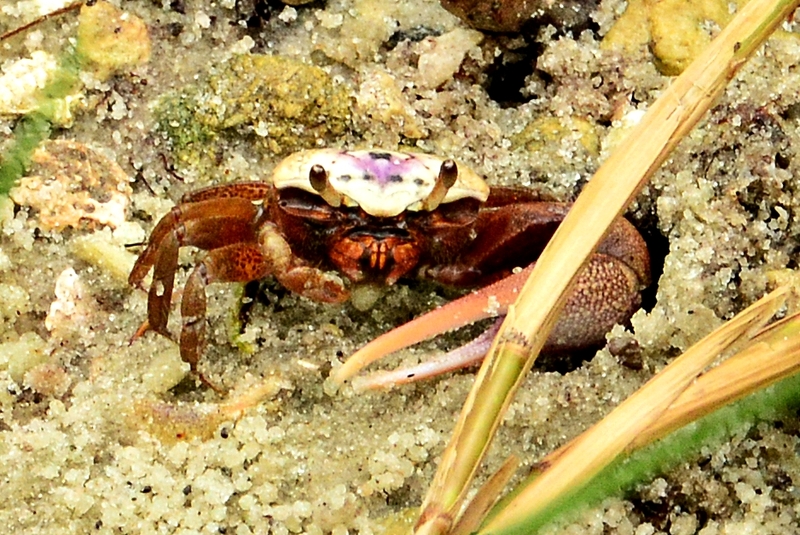 The exposed sand along the seawall was covered in fiddler crabs. 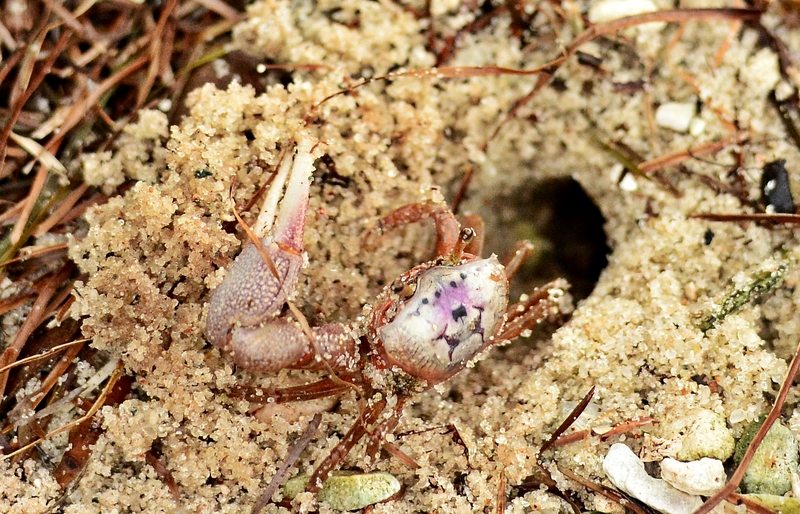 They are very skittish and kept running back in their little sand holes. I finally was able to get a few outside. They are very tiny, this is extremely cropped. Even with the threat of rain, there were a few people on the pier. Manatees were swimming close by but the water was too dark to get any pictures. 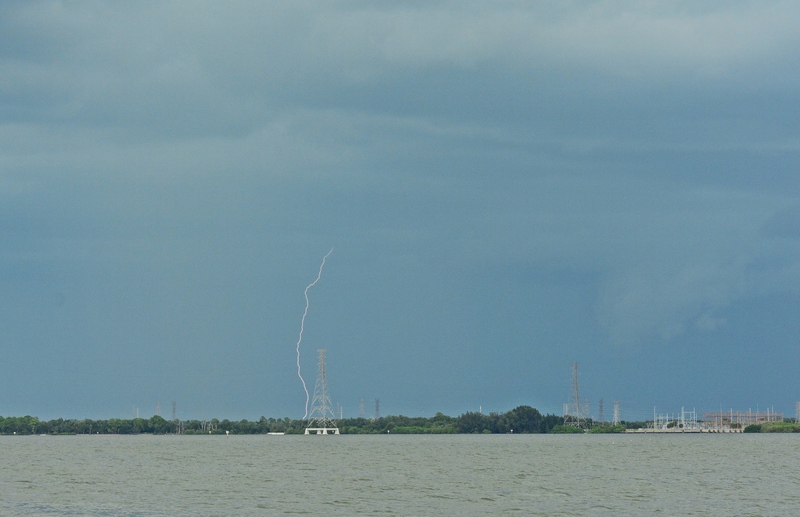 I realized it was raining north of the pier and lightning was popping up. I only had my 70mm – 200mm lens with me and these were handheld. 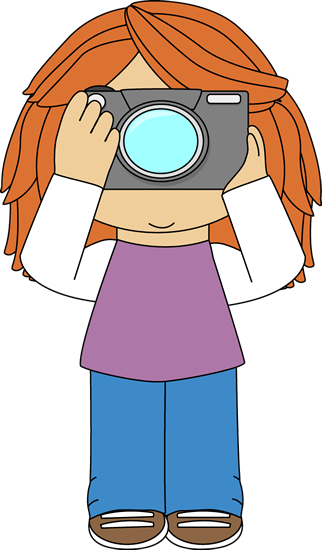 There was a lady on the pier as well who was taking pictures and she had a lightning trigger on the top of her camera that automatically shot pictures when it detected lightning. I had not heard of that accessory but it might be a cool one to look into. That would mean I would have to spend more time standing around waiting for storms. On the weekends,whenever I hear thunder starting I think “I should pack up and go to the airport parking deck to try to get lightning pictures.” It’s hard to get out and do that. I’m usually getting dinner ready or doing chores. Maybe a new toy would motivate me. Anyone have any experience using one?